St Francis Xavier Church was packed to capacity. Gettysburg residents, the college community and the Latino population, all gathered to pay their last respect to a wonderful friend and a great pillar of Adams County, Jorge C. Perez Rico, who died on July 18, 2015. Those privileged to know Jorge, remembered him for his dedication to helping others, his desire for justice on behalf of the oppressed and his altruistic nature, fueled by his urge for fairness. I met Jorge in the summer of 2013, after a brief introduction by Kim Davidson, Director of the Center For Public Service (CPS) at Gettysburg College. From our first meeting, I noticed his sense of humility and ability to make everyone around him feel comfortable, while he discussed his approach to issues of importance in the community and ways to achieve social justice for the less fortunate among us. After obtaining a degree in Sociology, Jorge and his father crossed the border from Mexico and arrived in New Oxford, where he worked at a Turkey processing plant. It did not take him long to realize the injustice faced by migrant workers at the plant, he became an organizer and decided to form a union to alleviate oppression of migrant workers in his place of work. Jorge was later fired for forming a union but he remained unmoved by the outcome. He believed his sacrifice was worth the achievement of social justice and dignity for migrant families. Jorge later moved to Gettysburg, where for more than 25 years, he worked diligently to set up various community programs for the benefit of the needy especially, migrant workers and their families. He was instrumental in creating a swimming program designed to help Latino children learn to swim. Working with CPS, Jorge helped organize the ESL program, where Latino parents and their children, learn English as a second language, an initiative that made daily conversation easier for those unable to communicate in English. After recent announcement of Immigration reform by the Obama administration, Jorge realized the challenges faced by new child arrivals to the United States. In his quest to deal with the issue, he helped organize the Deferred Action Childhood Arrivals (DACA), a free service program in Gettysburg, that helped applicants process their immigration applications, while at the same time offering advice and answers on immigration questions. His wish to make others aware of the plight of the Hispanic population, led to the creation of programs and occasional travels that educated Gettysburg College students and faculty members about difficult issues experienced by migrants and their families. He created a voice for the Latino community through the first Spanish newspaper (Puentes), where he was editor and the first Spanish radio in Adams County. To express his concern for others, Jorge organized rallies for immigration reform and visited the undocumented in prison awaiting deportation. His desire to share the Latino culture, led to the founding of Casa de la cultura, a community organization formed for bringing the Latino population together and for maintenance of Latino culture in Adams County. He provided leadership at the Painted Turtle Farm, a place for friendship, unity and reflection, where people in the community gather for picnic and share food in show of love and bond between them. Every year, Jorge helped organize Salsa on the Square, a celebration and proclamation declaring First Friday in October the Hispanic Awareness Day. Besides his love for community service, Jorge enjoyed sport. In a recent meeting I had with him, he discussed his wish to bring the Latino Soccer League back to Gettysburg and not long after his relentless effort, the 10-team soccer league came to fruition, which led to the opening matches in Gettysburg this summer. In an outstanding eulogy Written by Karl Mattson founder of CPS, and presented by Professor Paula Olinger of the Spanish department Gettysburg College, Karl mentioned Jorge’s love for the Camera: “His eyes were the camera, and they saw what very few of us are able to see, and that is the beauty in the simple human condition. He has an eye through which he captured daily moments that emphasized the universality of the human experience. 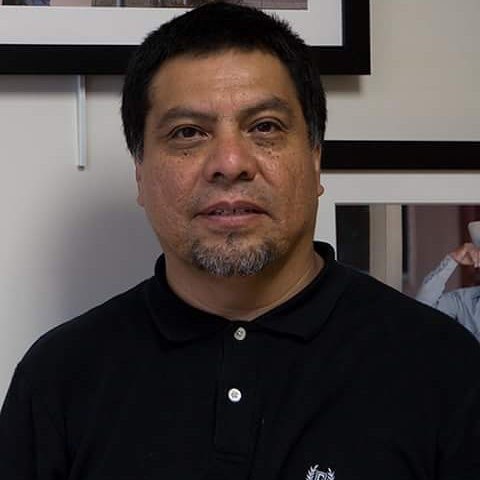 Through his camera, he assisted members of the Latino community to interpret their own reality through photographs, resulting recently in an exhibit called Retratos that was mounted in six different locations in Adams County,” he said. With the passing of Jorge, I question the audacity of death for taking such a rare gem so soon, knowing his strength and inclination for public service. To his wife Victoria and children-Elena, Vicki, Jose and Elias, stay strong for you are not alone. Jorge left a mark and legacy destined to remain in the lives he touched and the community that benefitted from his kindness, will remember him as a good man. Adios amigo, rest peacefully in the bosom of your creator. Adeyemi Oshunrinade [E. JD] is the author of ‘Wills Law and Contests,’ ‘Constitutional Law-First Amendment,’ ‘Criminal Law-Homicide’ and ‘SAVING LOVE’ available on amazon. Follow on Twitter @san0670.